"The whole development of modern science has roots in the Reformation which values and recognises God's laws in the realm of morals, and therefore indicates that there ought to be (and are) laws in the realm of science. Our modern society draws its values from the Scriptures, which from Genesis to Revelation are all inspired and accurate. Our youth are being misled by false ideas and values masquerading as science. A Christian University will contribute to the Kingdom of God and our world very significantly. It has my wholehearted support and prayers." Raised in Brisbane, Don Hardgrave was a school teacher in both primary and high schools before pursuing further training at various institutions, including Melbourne Bible Institute and Kings Theological College. Don has actively participated in planting more than 30 churches along with pastoring, and ‘re-potting’ many more. He has spent many years in youth camp ministry and held leadership positions in the church on a local through to national scale. Don is a man with a wealth of knowledge and has spent many years equipping himself for his ministry. He completed both his Diploma in Theology and Diploma in Religious Education with the Melbourne College of Divinity through the University of Melbourne. He then obtained his Bachelor of Divinity at the University of Queensland in 1974, followed by his Master of Arts in Church Health with William Carey International University in 1982, and his Doctor of Biblical Studies with Luther Rice Seminary in 1989. 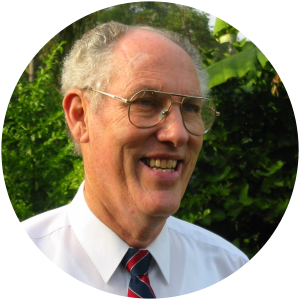 Don added a Certificate IV in Training and Assessment to his collection in 2011 followed by a Graduate Diploma in Christian Ministry and Theology in 2015 with The Training Collaborative under the auspices of Queensland Baptists. As well as pastoral ministry, Don has enjoyed youth camp ministry since 1968 reaching over 15,000 teens. He ministered in the Wesleyan Methodist Church for 26 years including serving as National Superintendent and Queensland Superintendent, and has since been with Queensland Baptists for 12 years. Don is passionate about walking with and raising up disciples of Christ and, as a result, has produced many resources over his time which are used extensively in Australia and overseas, including his latest book entitled You Can Be A Radiant Character. His resources are not without research, notably his study on John Wesley's small group meetings and their place in consolidating a spiritual awakening. Don has also been a speaker at both Promise Keepers and Keswick conventions and has lectured in Switzerland and the United States of America. He currently trains and mentors in Brisbane and regional centres.